When a woman or family enters the program, we are here to assist them in any way to make positive changes in their lives. Residents work with housing staff to develop program goals of self sufficiency, accountability, responsibility, emotional stability, personal growth, economic advancement, and permanent housing. case management: each resident meets weekly with a case manager to review their case and receive feedback/support. service coordination: Our involvement with other service organizations allows us to establish working relationships with other agencies and better serve our residents. Those applying for permanent supportive housing must have either a physical or mental disability or addiction. The placement process may take up to a week and a half. 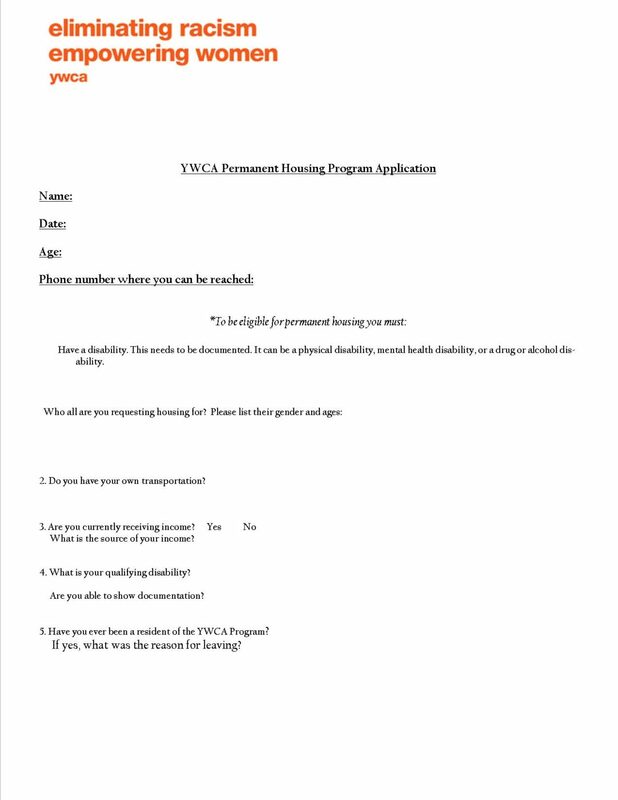 Potential residents will meet with the YWCA Adult Case Manager for an interview and to evaluate a candidate’s compatibility with program goals. Ability to live independently upon program completion.